10.1" x 13.3" stitched on 14 count. 7.8" x 10.3" stitched on 18 count. 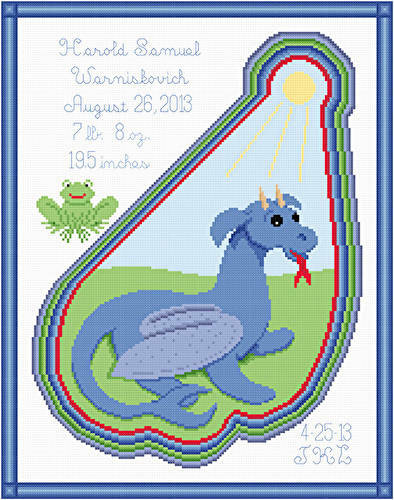 Summer Dragon Birth Announcement cross stitch pattern... This dragon looks hot as the summer sun shines down on it. Spaces are indicated for birth information which is enhanced by a frog. Colors may be changed. Whole and back stitches.